RoboDoc: The Creation of Robocop latest trailer is here and it sheds some light on the bloody RoboCop franchise. Paul Verhoeven's classic movie was/is known for its over-the-top violence and gore, which is highlighted in the new documentary trailer. According to the documentary, the Verhoeven mantra was, "Blood. I want more f*cking blood," and he wasn't kidding. RoboCop is one of the bloodiest sci-fi action movies of all time. Verhoeven fans are about to learn a whole lot more about what went on behind-the-scenes to get the movies made. RoboDoc: The Creation of RoboCop is directed by Chris Griffiths who is also known for his Pennywise: The Story of IT. Writers Eastwood Allen and Gary Smart came on board to help out with the project along with creative consultant and RoboCop co-creator/screenwriter Edward Neumeier. The documentary trailer is just under 2 minutes long, and it leaves us wanting a lot more. Sadly, Griffiths has not announced an official release date for the project, though it will be available sometime in 2019. However, the older trailer from last year goes into some more detail about the franchise as a whole, which has been included below. RoboDoc: The Creation of RoboCop features interviews with cast members Kurtwood Smith, Nancy Allen, Ray Wise, Tom Noonan, Kenny Page, Ronny Cox, and more. Star Peter Weller declined to take part in the project, but there are archival interviews with the actor included in the documentary. Additionally, there is a wealth of archival footage featuring the late Miguel Ferrer, stop-motion animation legend Phil Tippett, and director Paul Verhoeven. At one point in the trailer, Kenny Page claims, "They were putting more squibs in my body than anyone in film history." Page plays Kinney, who was taken out by the ED-209 in one of the bloodiest scenes in Hollywood history. In addition to the RoboCop documentary, it was also announced earlier this year that the crowd-funded bronze statue of the RoboCop character has finally found a home. The statue was first announced back in 2011 and took a while to construct and even longer to find a location to have it shown. The Michigan Science Center took the honors to pay tribute to one of the greatest movies of the 1980s as well as one of the best fictional Detroit police officers. While there's no current release date set for RoboDoc: The Creation of RoboCop, the trailer looks really slick and will be a treat when it's finally released next year. Having Edward Neumeier is huge, and is more than likely where all of the awesome behind-the-scene footage came from. 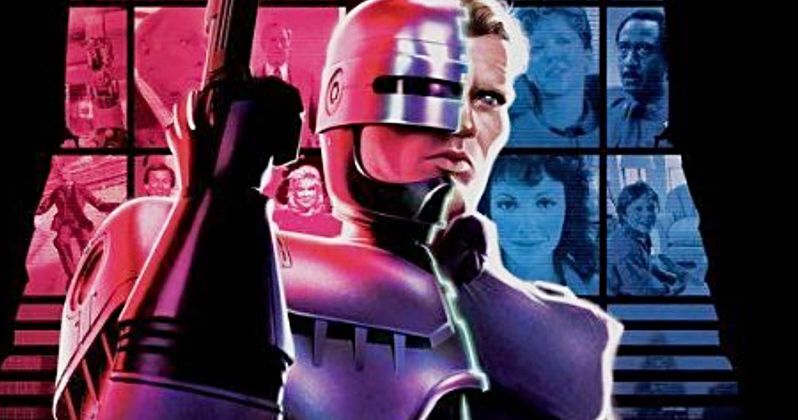 While we wait for the full-length documentary to be released, there's plenty of time to go back and watch the movies and then check out the latest trailer as well as the first teaser from last year below, thanks to the RoboCop Documentary Twitter account.